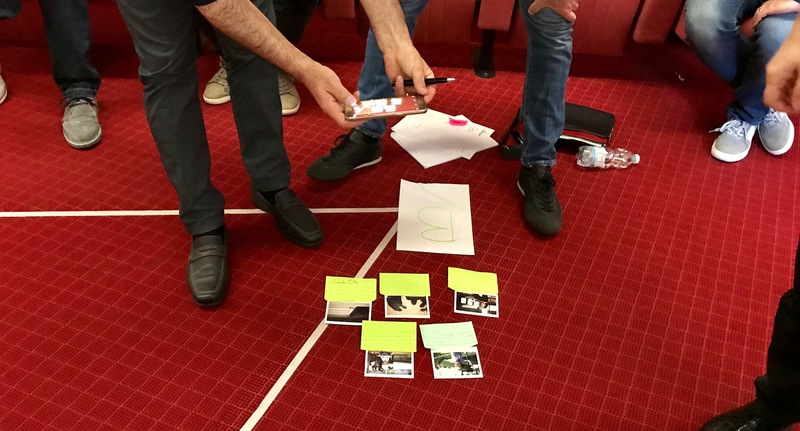 In the first training module (I SEE YOU*), through specifically designed exercises, the coach has the opportunity to analyze and understand in a deeper and inner way the practice of some of the main coaching competencies. Due to the stimuli that the images arouse, a dance starts between conscious and unconscious to bring to light what keeps us from freeing complete mastery in the use of the main coaching skills. At the same time, photographic techniques are learned that can be used in the session with individual clients and teams. * If you are willing to explore and learn more.... you can allow the client to see her/himself (YOU SEE YOURSELF) and in partnership with her/him you can see the whole (WE SEE THE WHOLE). "The work with photography done with Davide is absolutely innovative and creative, it allows you to make an extraordinary, engaging and exciting dive into the soul, which generates new awareness and opens up to wonderful opportunities. It is a useful and original work tool that, through the emotions transmitted by photography, focuses on values and new resources. Thanks Davide."